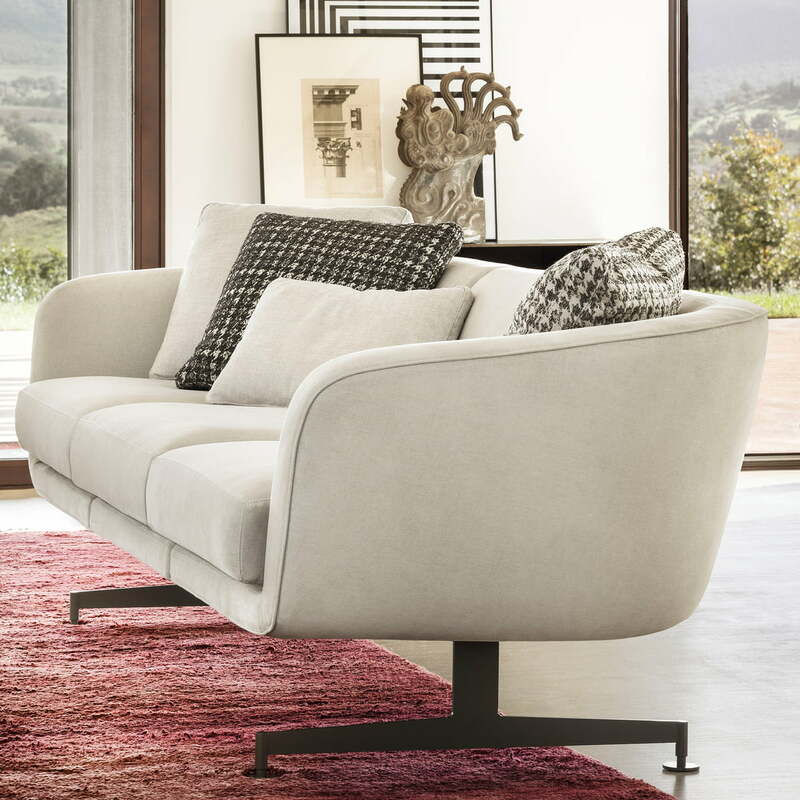 The Betty Boop Sofa by Kartell is a design by the Italian designer Piero Lissoni and is characterised by comfort and aesthetics alike. 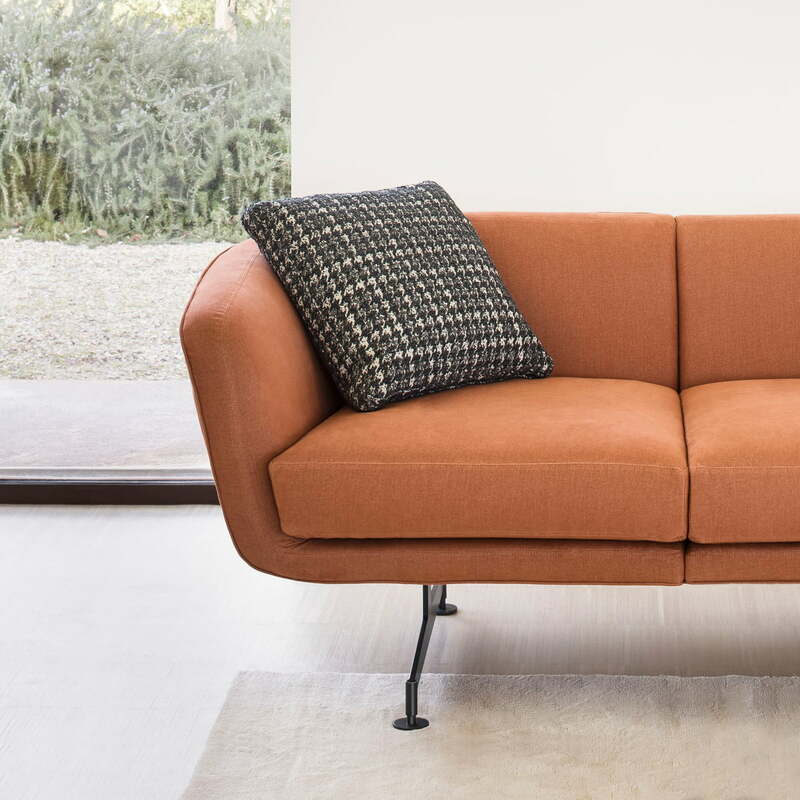 Soft contours, rounded edges and generous cushions determine the design of the sofa and invite you to linger. High armrests, which go directly into the backrest in a curved shape, create a sense of cosiness and close the user in gently. 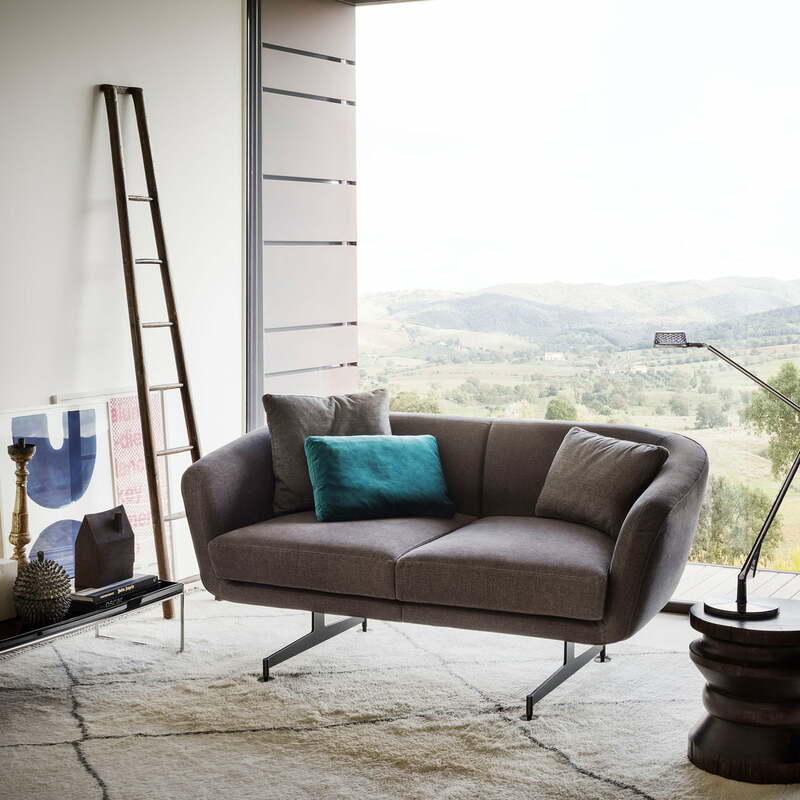 Thanks to the high, four-legged base made of angular metal, the sofa gets an airy, almost floating appearance, which lends every ambience a certain lightness. 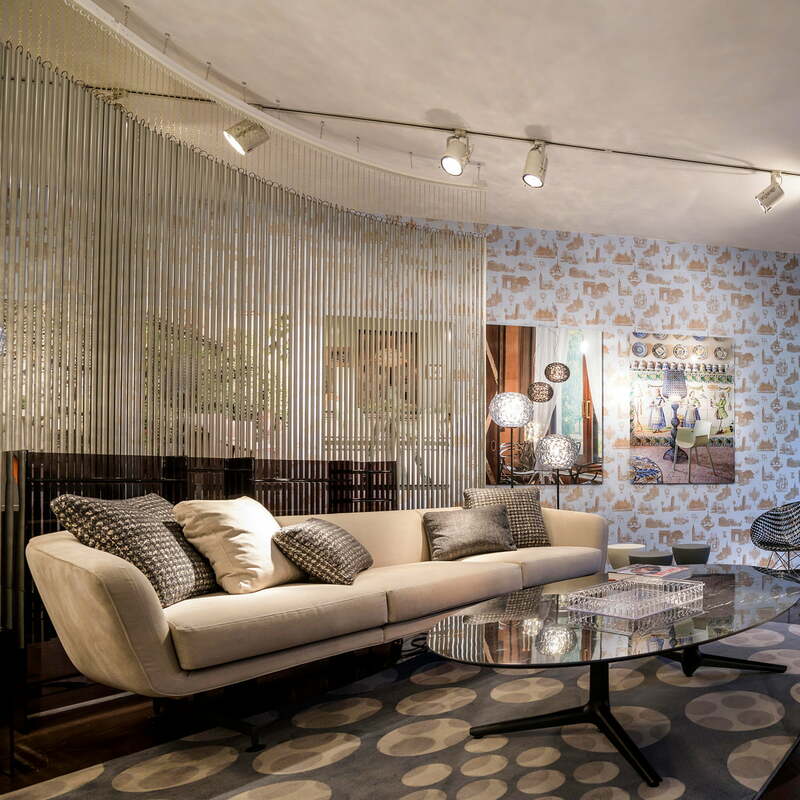 It also gives the sofa an industrial touch, creating a tense contrast to the otherwise soft silhouette of the upholstery. 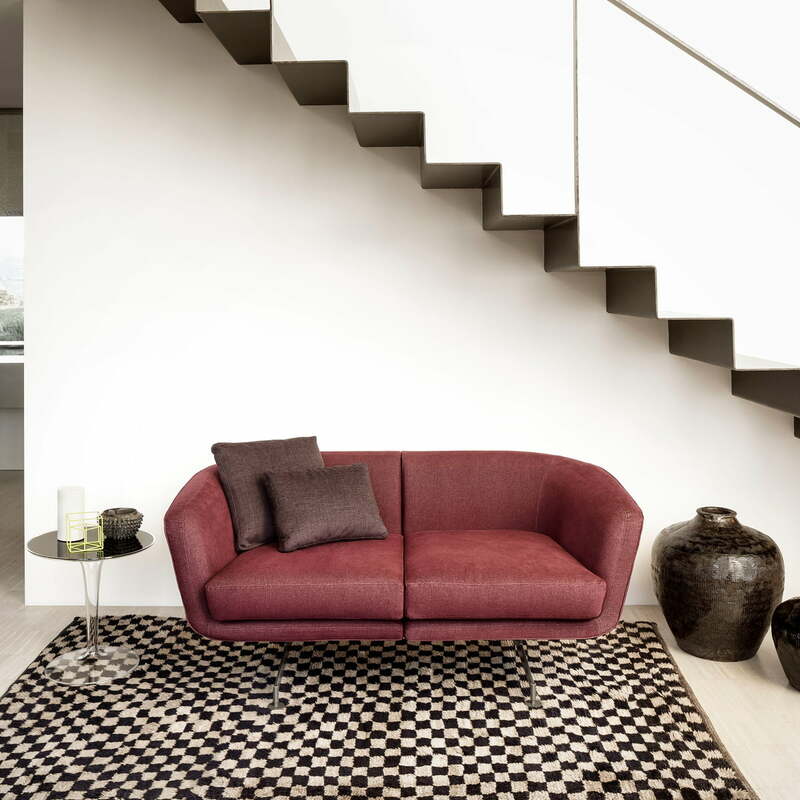 Matching the sofa, separate decorative pillows are available in matching colours by Kartell. The Betty Boop sofa with cushions by Kartell in the ambience view. 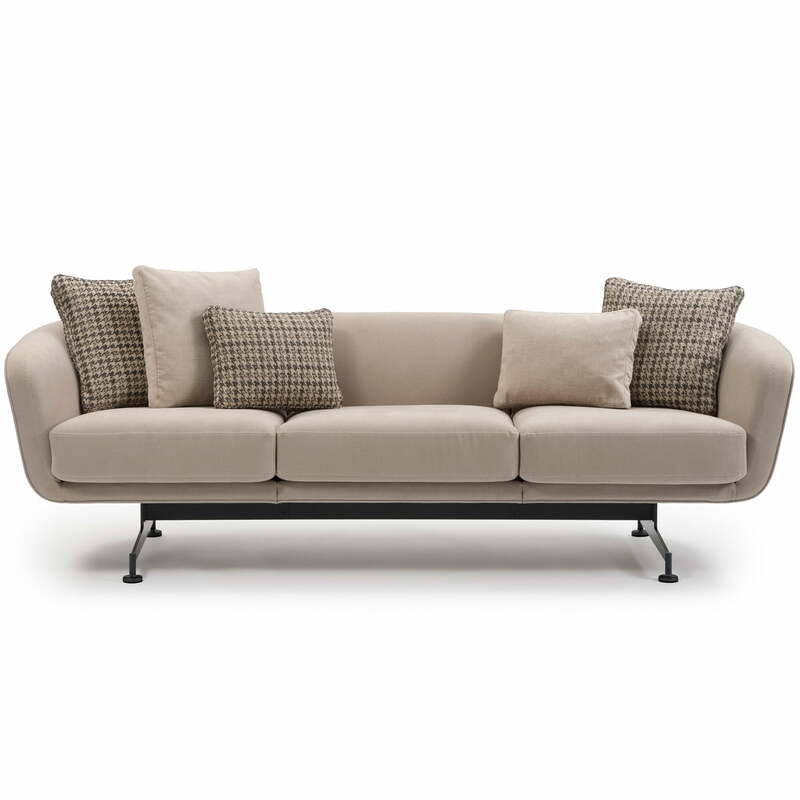 Separate decorative cushions are available from Kartell in matching colours to match the sofa. In terms of colour, the cushions perfectly match the Betty Boop sofa from Kartell, which can be transformed into an even more comfortable oasis of well-being with the cushions. 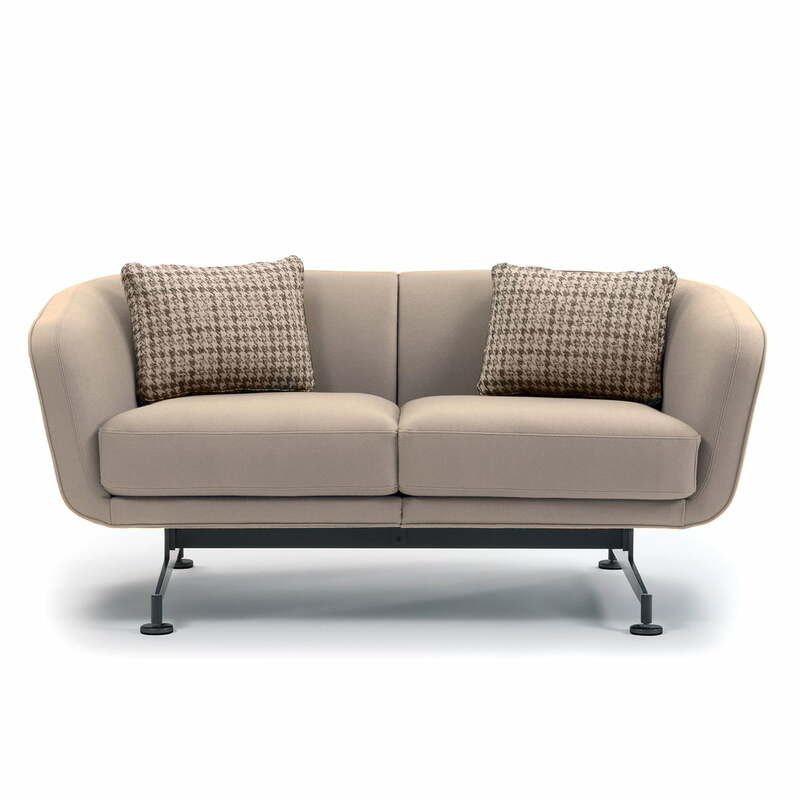 The Betty Boop sofa with matching cushions by Kartell was designed by the Italian designer Piero Lissoni and is characterised by both comfort and aesthetics. Monochrome or designed in a modern dog-tooth pattern, the cushions set stylish accents on the Betty Boop sofa and can also be wonderfully combined with each other.